This book of evaluation questions and Scripture explores the meaning and practical application of the Fifth Commandment, "Honor thy father and thy mother; that thy days may be long upon the land which the LORD thy God giveth thee" (Exodus 20:12). This is a simple command, but it encompasses more than we often realize! It takes discipline and training for children to learn to honor and obey their parents as God requires. 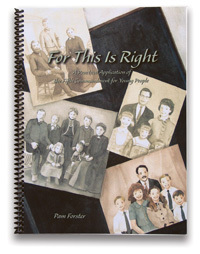 For This Is Right will give direction to this training process by keeping you and your children grounded in God’s Word. A short set of summary questions for daily review. 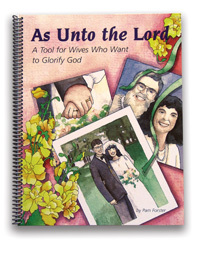 These are designed to help children prayerfully examine their attitudes and actions with the goal of quickly pinpointing areas of sin for further thought, Bible study and repentance. A powerful tool for building a life-long commitment to honor and obedience! 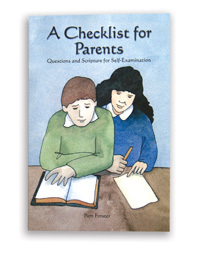 An in-depth, expanded series of over 350 questions, each followed by Scripture which explains what God commands of children in relation to their parents. These are patterned after The Westminster Larger Catechism’s teaching on the Fifth Commandment. Suggested Bible studies and other projects. 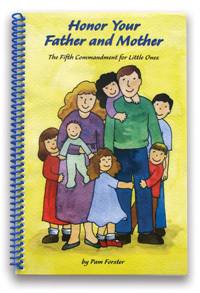 For younger children, we have a simplified booklet of questions and Scripture accompanied by pictures to color -- see Honor Your Father and Mother. Scripture quotations are taken from the KJV, NKJV, and NASB translations.